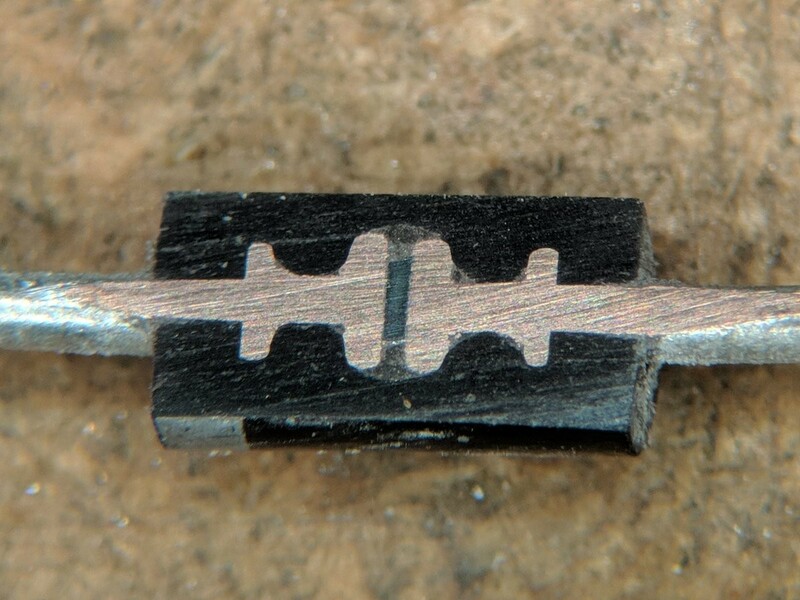 here&apos;s the cross section of a diode! it&apos;s a 1N4007. you can see the piece of silicon in the middle. the lumps on the wires help hold them in the plastic case. A round plastic casing for a diode has been filed down to expose a cross-section near the center. Each wire has a pair of raised flanges, visible as a flaring-out in the cross-section, that trap some of the plastic of the case between them; a volume of a different kind of filler material surrounds the end flanges of the two wires and the thin layer of silicon connecting them.